Hannah France writes to let us know she’ll be starting her French classes for adults (and children’s classes, too) again, soon. “Some of you have heard of me, some of you not! I’m Hannah and I live in Montreuil-sur-mer. 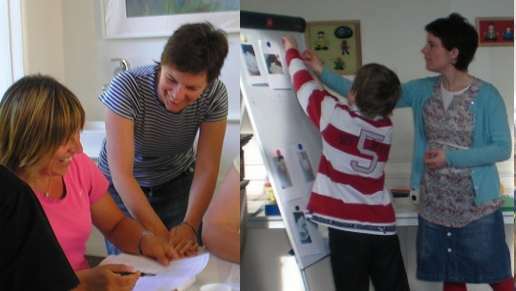 I run French and English lessons for children and adults. This September I’ll be starting French lessons again having had six months off on maternity leave. The classes mainly revolve around you and what you want to study. Together we organise the programme and usually we work to a ten-week block. My focus is to get you talking in a relaxed and friendly environment where everyone feels confident to have a go! I try to keep class sizes to around 10 maximum. The day and time is yet to be decided as this will mainly depend on your availability. This year I’m hoping to have two groups – one for beginners and one for the more advanced. If you are interested, or maybe know someone else who might be, please get in touch”. If you’re struggling to learn French , or just want to improve your conversational ability, don’t do it all on your own! Hannah France’s French classes in Montreuil will quickly get you up to speed – without too much focus on grammar and writing – and you’ll meet and learn with others just like you! Hannah says these mixed ability classes are all about speaking and communicating, “having a go” and gaining the confidence to get your message across.